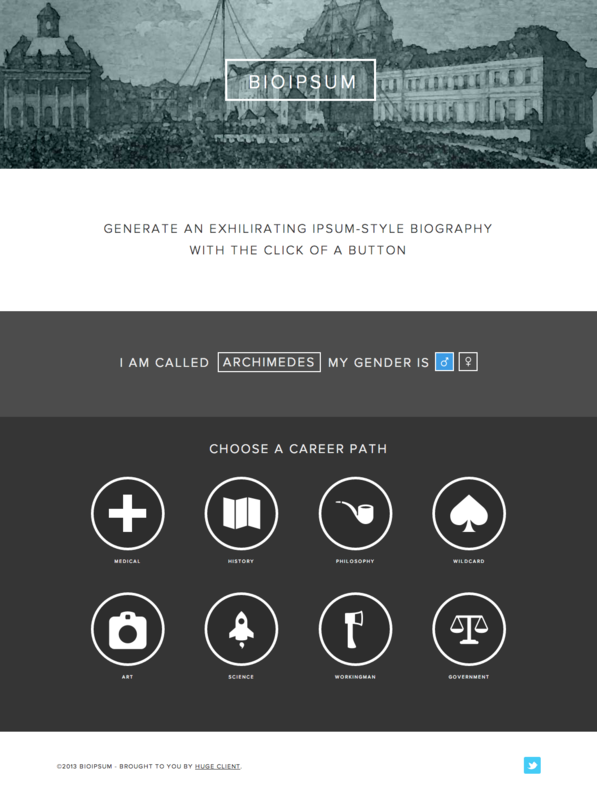 BioIpsum allows you to generate an exhilarating ipsum-style biography with the click of a button. Works well and also fits perfectly on mobile. User enters name, gender and then chooses a "career path" which then outputs a humorous short bio that they can use as placeholder content or for use on a twitter bio.